Home EU INSTITUTIONS Bannon backs far-right in Europe, but how? Further disclosures about Steve Bannon’s operation to foment a Trump-style populist insurgency in Europe are revealed in a Guardian documentary. 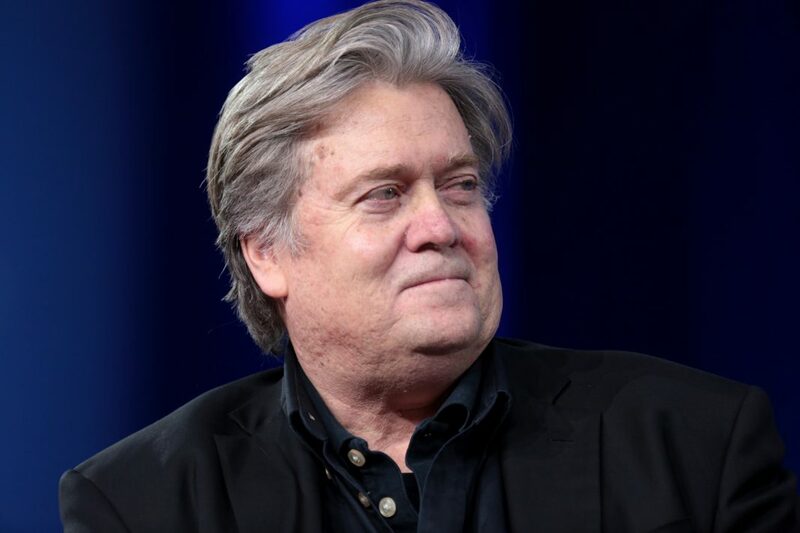 Steve Bannon has reportedly conceded that his campaign efforts could be illegal in most of the EU member states he planned to intervene ahead of next year’s European parliamentary elections. According to the Guardian, Bannon would be barred or prevented from doing any meaningful work in nine of the 13 countries in which he is seeking to campaign, according to national electoral bodies and relevant ministries. Confronted with the findings, Bannon acknowledged he was taking legal advice on the matter. Further disclosures about Bannon’s operation to foment a Trump-style populist insurgency in Europe are revealed in a Guardian documentary. A former investment banker with a reported net worth of about $50m, Bannon is personally bankrolling his European operation. He has pledged to spend millions of dollars to provide nativist and ultra-conservative European parties free access to specialised polling data, analytics, social media advice and help with candidate selection, reported the Guardian. In October, Bannon told the Guardian he had already spent $1m of his money on polling he planned to provide for free to parties in seven European countries. By the time the elections conclude in May 2019, Bannon estimated, the project would have spent between $5m and $15m. However, Bannon’s project appears to be up in the air in several EU member states. Sweden, Denmark, Finland, Austria, Poland, the Czech Republic and Germany indicated they will not join his project. According to the Guardian, Bannon has poured most of his efforts into Italy, which elected a populist coalition government this year. His efforts to recruit the anti-establishment Five Star Movement have so far been rebuffed, but he has succeeded in enlisting the interior minister, Matteo Salvini, the leader of the far-right League, and Giorgia Meloni of the smaller far-right party Brothers of Italy.